Every now and then, people want to share “their” story. We believe here at Storypoint that your story – it’s who you are, it’s how you got to this moment in time. Your story, now matter your past, can speak to others and when similar experiences are shared, healing can happen. 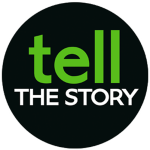 If you would like to share your story, contact our Creative Arts Pastor – Pastor Kevin today!